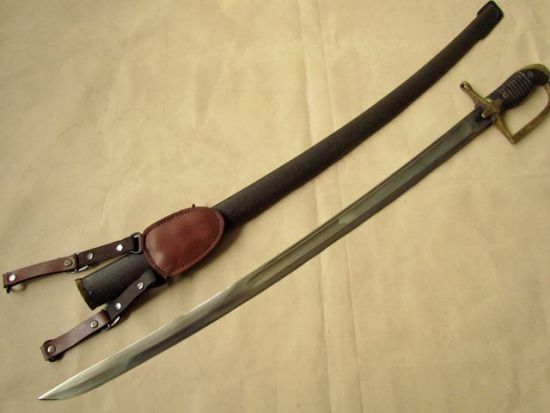 History of Polish Swords and Sabres. Medieval swords in Poland, Szczerbiec. Szabla, Polish karabela and hussar sabre. Polish military sabres in 20th century. Polish sabre model 1917, 1921/22, sabre wz. 34 and 76. Polish tribes came to the current location in 6th century. The first Polish state was formed by Mieszko in 10th century. Early medieval swords inPoland were similar to the viking swords. These swords evolved from late Roman spatha sword. These swords were very expensive. Oly the local chieftain were able to purchese such swords. Axe and spear was oten prefered weapon of the early medieval warriors in Poland (same case of vikings). The classic medieval swords were similar to the rest of Europe. 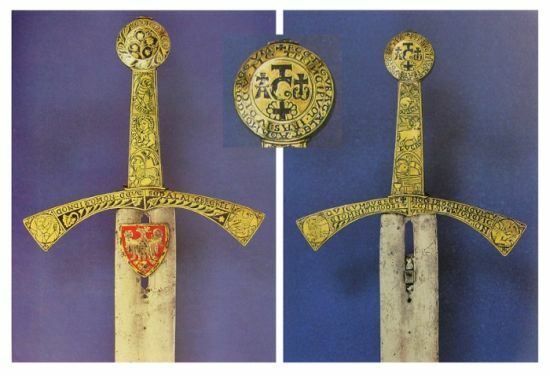 Szczerbiec was originally a sword of justice then coronation sword of Poland. It was decorated by Polish eagle. Battle of Grunwald (1410) you can see the Polish knights were the same as the classic west European knights. They wore the same armor and swords. Poles were in contact with Mongols and Turks. 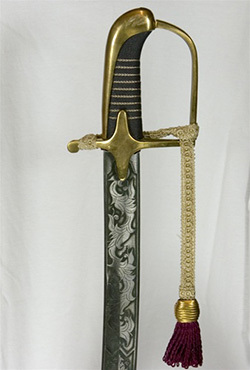 Poles adopted the eastern sabre in 16th century. Its name was karabela. 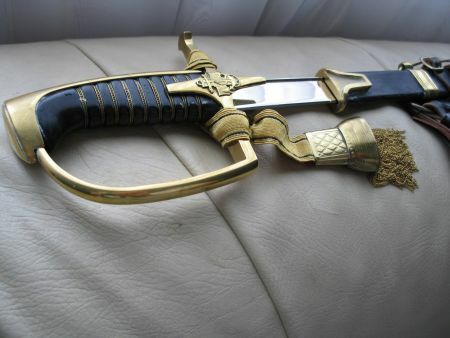 Karabela originally served as a favourite decorative weapon of Polish nobility but it was later used as a regular weapon of the Polish cavalry. Poles formed heavy hussar cavalry in 16/17th century. Hussars worn helmets, front and backplates, hand leg armor. They were successors of the knights. Wings of Polish hussars produced a special sound, the terrible psychological weapon. 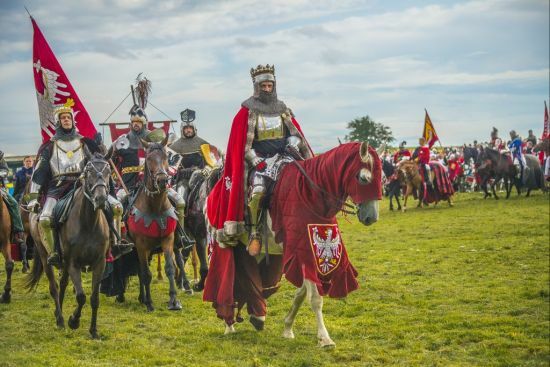 Hussars were armed by lance, guns and by Szabla – the famous Polish hussar sabre. 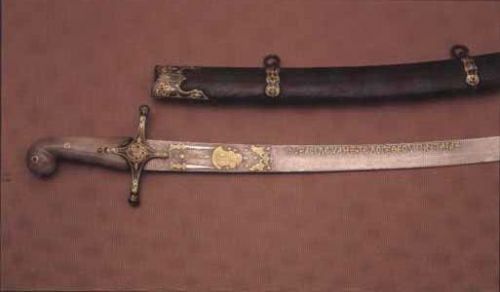 Szabla, Polish sabre became a symbol of hussars and the Polish nobility (szlachta). Hussar sabre was a heavier than the original eastern sabre and it had a nearly closed hilt for a better hand protection. 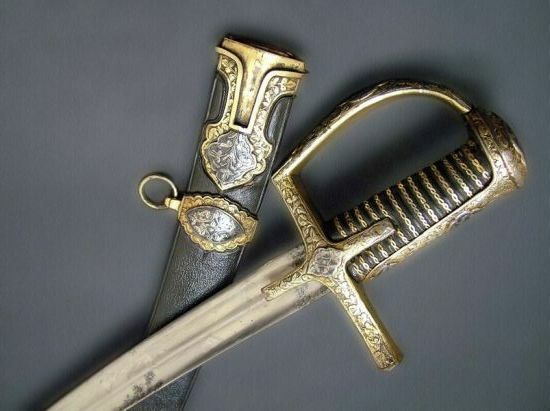 Hungarian cavalry worn sabres similar to the Polish ones. 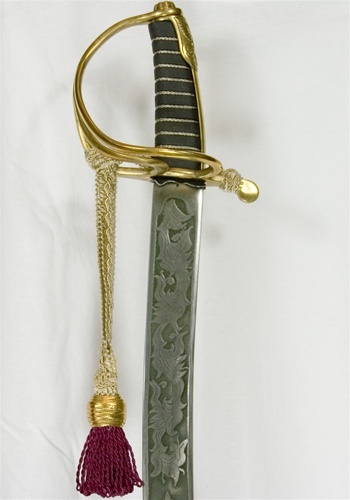 Polish Uhlan sabre, officer version. The sabre used by Poles during WW2 in fights against Germans. Recreated sabre model 34 for army and navy. The newest recreation of the 34 model is used by Polish honor guard.